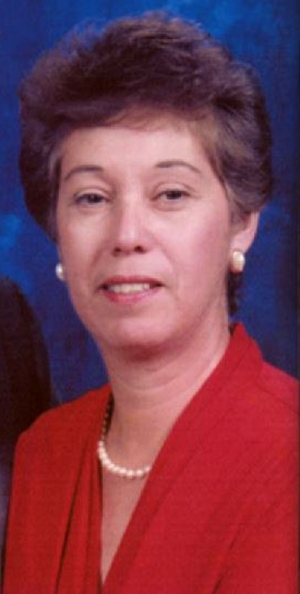 Irene Sylvia Tello, age 83, of Fillmore, California passed away peacefully on Friday March 29, 2019. Irene was born March 3, 1936 in Santa Paula, California to Augustine and “Chita” Guevara. Irene was a loving mother and wife. She spent her life taking care of her children and family. She enjoyed attending grandkids sporting events. She also loved playing softball, baking, gardening, sewing and camping. Irene is survived by; son Michael Tello; daughter Cynthia Enriquez (Felipe); son David Tello (Ofelia); and son Don Tello (Natalie); grandson Aaron Tello, grandson Gabriel Enriquez (Stephanie), granddaughter Rebecca Morton (Daniel), grandson Daniel Enriquez (April), grandson Joseph Tello, grandson Jacob Tello, grandson Matthew Tello, granddaughter Taylor Tello, granddaughter Miley Tello and 6 great grandchildren. Irene was preceded in death by her husband of 64 years Joe Tello; granddaughter Katie and Andrea Tello; daughter-in-law Diane Tello and parents Augustine and "Chita" Guevara. A visitation for Irene will be held Tuesday, April 23, 2019 from 5:00PM to 8:00PM with Rosary at 7:00PM at Skillin-Carroll Mortuary, 600 Central Ave, Fillmore, CA 93015. Funeral mass will occur Wednesday, April 24, 2019 at10:00AM at St Francis of Assisi Church, 1048 Ventura St, Fillmore, CA 93015. Graveside service will follow at Bardsdale Cemetery, 1698 S Sespe Street, Fillmore, CA 93015. Services are under the direction of Skillin-Carroll Mortuary.